Eindhoven, The Netherlands, April 13, 2015 – NexGuard, a Civolution company and the leading provider of forensic watermarking technology and solutions for protecting media content against illicit redistribution, today announced the launch of a forensic watermarking solution to protect live sports video services at NAB. 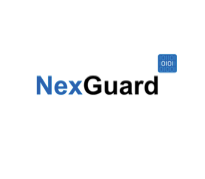 Visitors to the NexGuard booth (SU3424) will be able to see a live demonstration of a typical end-to-end piracy and counter-measure scenario. Sports footage has most of its value during the live event. Session-based set-top box (STB) or Over-The-Top (OTT) watermarking provides the only way to stop pirates while the content is at its most valuable. “Sports content is incredibly valuable while the game is on, so it’s critical that the piracy can be traced at its source and illegal re-distribution stopped almost instantly – that’s what the NAB launch of our Live Detection services gives the sports industry,” said Harrie Tholen, Senior VP Sales & Marketing, NexGuard. “Our Live Detection services are available now for SD and HD and are future-proofed by being ready for UHD/4K too. Premium channels pay many millions for sports rights and yet, right now, the most valuable sports events are easily available to pirates in HD quality. NexGuard session-based watermarking and on-the-fly detection combined with web monitoring provides a complete toolkit to stop illegal redistribution and protect investments in sports rights,” concluded Harrie Tholen. The cloud-based watermark Live Detection service provides an automated and scalable solution to detect illicit live re-streaming. 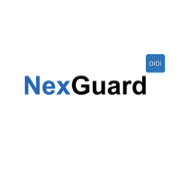 NexGuard is partnering with the leading web monitoring companies in the world to give them the ultimate tool: the ability to identify the source of a pirate signal within minutes and use that information to take immediate action. Naturally, the live detection service is also available directly to premium sports channel operators for in-house monitoring.